n64pt44 - Would you like to get your blue and yellow Special Edition Nintendo 64 Pikachu console shine like new again? Get that new look back with these high quality, die cut labels that are colored and sized identically to match the original Nintendo 64 Special Pikachu Edition Console Reset Label. 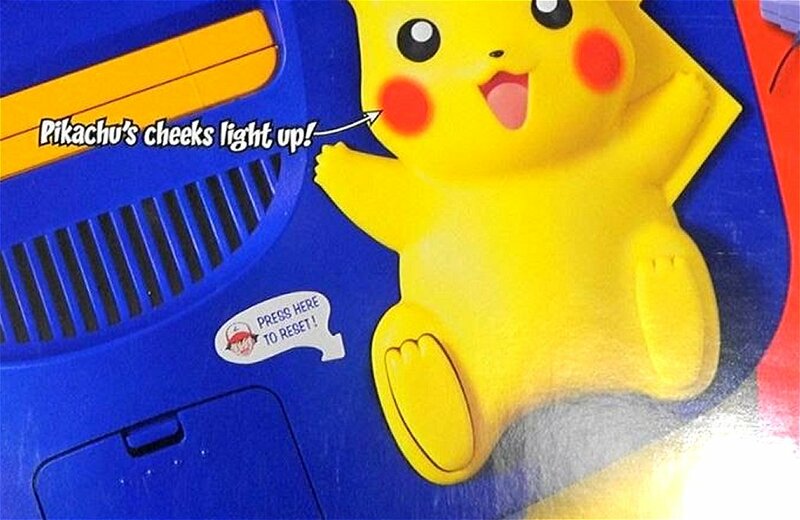 The original N64 64 Special Pikachu Edition Consoles were manufactured for the Toys-R-Us stores and had these special stickers on them. They were only sold in the Toys R Us stores, and the stickers feature a picture of Ash and the words "PRESS HERE TO RESET". Shipping Weight: Buble Mailer 0.4oz.